The Salvation Army Thrift Stores came up with a nifty concept for Earth Month. For two days this week, all green-coloured items of any kind were half price. So, on Friday I bought some green stuff (dishes and clothes) and saved some green stuff (yes, that would be money). Technically I wouldn't have bought anything if they didn't have the sale, so I didn't really save any money, but at least I'm reusing. Thrift store shopping is one great way to help our environment, after all. I got this large Bowring serving dish, above, still in the box, for $3.50. Doesn't it just say "spring time?" I also picked up this green glass bowl. And this pretty floral serving bowl. 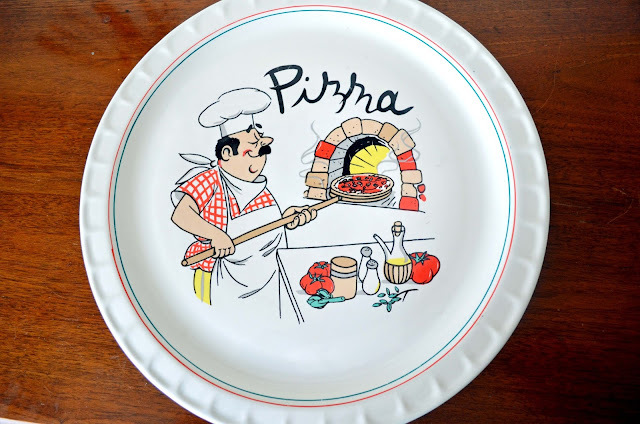 I picked up two of these pizza serving dishes for $1 each. See the green leaves? That's good enough to get the green half price discount. 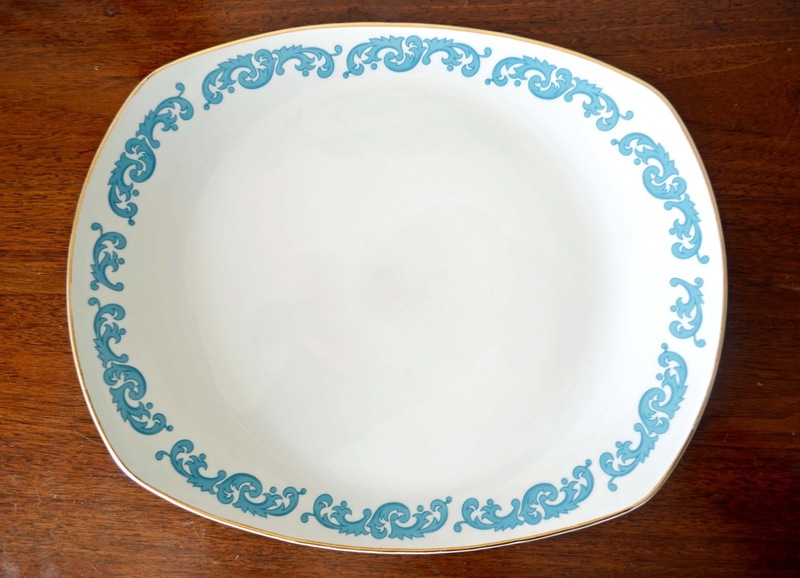 I bought this Crown Essex Capri Ironstone plate for $1. It's actually blue, but the lady included it with the green stuff. Okay by me. 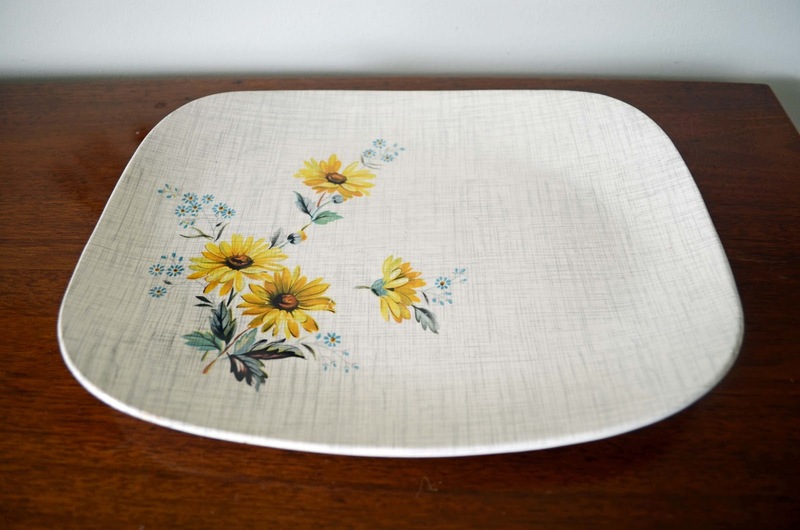 This J&G Meakin platter was $1.50. For some reason it's my favourite find. I just think that, while it's vintage, it has a modern appeal. I could see serving sushi on it. And you know how I like my sushi. 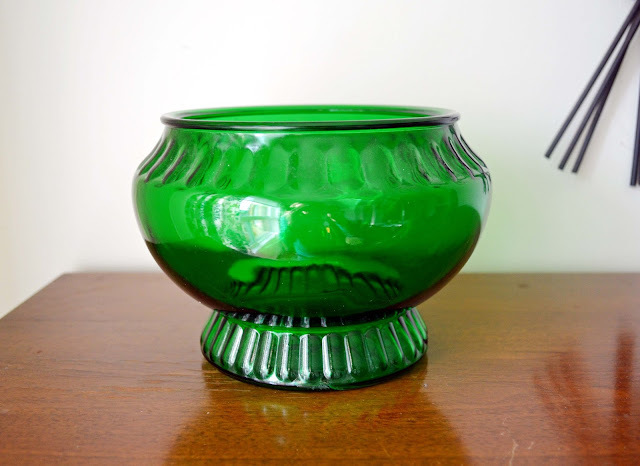 I have more green finds to show next week. 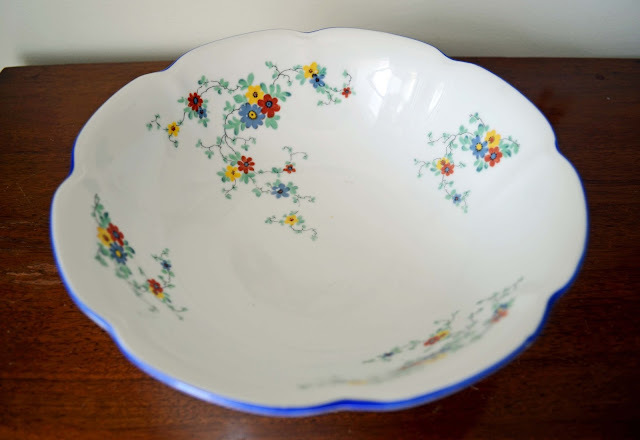 Have you found any thrifty goodness lately? I think I would get out there, rain or snow! :) I love to see what people throw out. You always find such neat dishes - and they always look so nice in your pictures!! Love that pizza dish! How cute! Great finds, all around. But you need to do a post on WHERE you keep your treasures. Because I, uh, need help. Thanks Ruthie. Now I want pizza just so I can use the plates. Awesome. I just blogged about my finds from last week :) I really love the bottom two platters! Our SA picks a certain color tag and that color will be 50% off for the week, only on clothes and shoes. I rarely find anything that I want with the right colored tag though. Isn't that the way it always works? I'm glad you got out thrifting too Laurie. You are right, the stuff you want usually doesn't have the right colour tag! Ha! What a great idea, green is every sense. The Meakin plate is my favourite. How cool ~ I wish our thrifts would put everything green at half price! I absolutely love the ironstone platter. 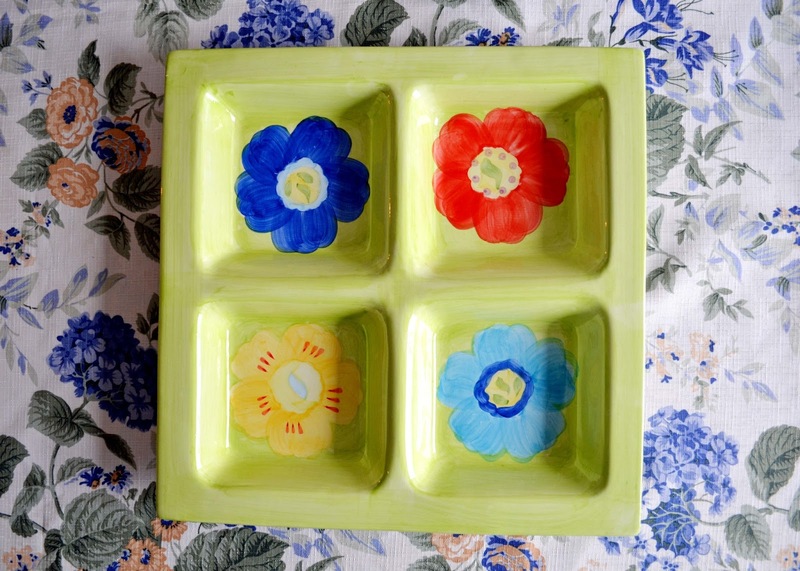 And you're right; the Meakin plate is very modern! I love your comment about how you wouldn't have bought any of the things if they weren't on sale. That is so true! A few months ago, our SVDP had all of their clothing 50% off and now most of it is in a bag in the back of my car ready to go back and be donated. I miss the Salvation Army SO much. Never thought I'd say that...thrifting just isn't the same here in Scotland. I love seeing what you've bought, reminds me of home a little. Funny, I would have thought that Scotland would have good thrifting, begin an older country. What kinds of things do they have at the thrift stores there?